Launched in the UK in the summer of 2005, the UltraShape® (Contour I) device is marketed by its manufacturers (Ultrashape Inc.) as “the first proven non-invasive ultrasound solution for body contouring”. Since launch, the device has been modified and updated to make it more ergonomic and further improve outcomes. Unlike ultrasound-assisted liposuction techniques, it doesn’t require any incisions or surgery, and the body naturally rids itself of the unwanted fat content after treatment. Focused ultrasound at an operation frequency of 200± 30KHz. The UltraShape® treatment begins with the physician marking the treatment area or target zone (with a pen) and uploading it into the computer tracking system using coloured markers placed around the area. The physician then glides the transducer (the hand-held device that converts electrical energy into ultrasound energy) over the targeted zone, delivering short pulses of focused ultrasonic energy into the subcutaneous fat. Each pulse breaks down the membranes of the fat cells, without impacting the blood vessels, nerves or other connective tissue, and the overlaying skin is also not damaged. By repeating the process, the device disrupts a layer of fatty tissue under the skin. 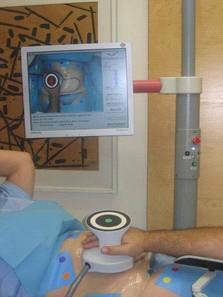 A video camera monitors the positioning of the transducer and the person’s body, while the tracking system displays the areas already treated and indicates areas to be treated. The treatment session takes between ¾ and 1½ hours (depending on the area being treated) and afterwards you are able to return to your normal activities. So what happens to the targeted fat? When treated by UltraShape, the membranes of the fat cells are disrupted and fat cell content, known as triglycerides, is dispersed into the fluid between the cells and then transported through the vascular (veins) and lymphatic systems to the liver. Once in the liver, there is no distinction between fat coming from the UltraShape treatment and fat originating from consumed food, and both are cleared from the liver via the body’s natural mechanisms. 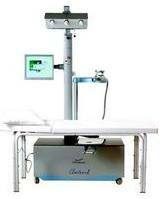 Received CE mark approval in July 2005, as an “ultrasound system for non-invasive fat emulsification”. US FDA approval is pending. Trained members of the medical profession. The Ultrashape® does not currently come under current Care Quality Commission legislation and can be used by a trained aesthetician with medical supervision. The Ultrashape® treatment is aimed at the effective removal of excess fat cells without surgery, and focuses on the abdomen, inner and outer thighs (saddle bags) and flanks (love handles). Results achieved with this procedure can be permanent as long as a sensible diet and exercise is maintained to avoid future weight gain. Body areas with tattoos or significant moles present on the skin. The manufacturers claim a single treatment is enough, but more often than not, two treatment sessions per area is considered to be more appropriate by some practitioners; however it all depends on the amount of fat to be removed, and if it is felt that the final result after one treatment needs improving on or not. Private costs for Ultrashape® treatment depends on the size of the area(s) being treated, and the number of areas that you have done in one treatment session, and can range from £300 – £800 per area, with an average cost of approximately £500. Abdomen before Ultrashape® treatment . 3 months after Ultrashape® treatment. Michael Franz, M.D., Luigi Polla, M.D. Ami Glicksman, M.D., Yoram Eshel, Ph.D.
Click for ALL Ultrashape ® clinics in the UK & Ireland registered and verified by Consulting Room.